Plums are native to China, America, and Europe. Today there are more than 200 cultivars being grown. There are two main types of plums, European and Japanese, being marketed today. Generally, Japanese plums are larger than European plums. European plums have high sugar content so they are often dried and used for making prunes. Most of the plum fruit that is consumed as fresh fruit and found in grocery stores are Japanese plums. European plums are generally late bloomers so they are well suited for areas with late frosts or cool springs. Japanese plums ripen earlier than European varieties. Plum trees may or may not need pollinators. Some are self fruitful and some need another plum tree for pollination purposes. Most European plums will either benefit from or require cross-pollination from another European variety. Many Japanese plums require pollinators.  Follow nursery recommendations for suitable pollinizers. Plum trees are fast growing and usually begin producing fruit in 3 to 5 years after planting. Plums are rich in dietary fiber that is effective in improving digestion. They are low in calories and contain ample amounts of vitamin C, calcium, potassium, and carbohydrates. Plums are excellent when eaten fresh and are great addition in salads. They are used for pies, desserts, jams and jellies.